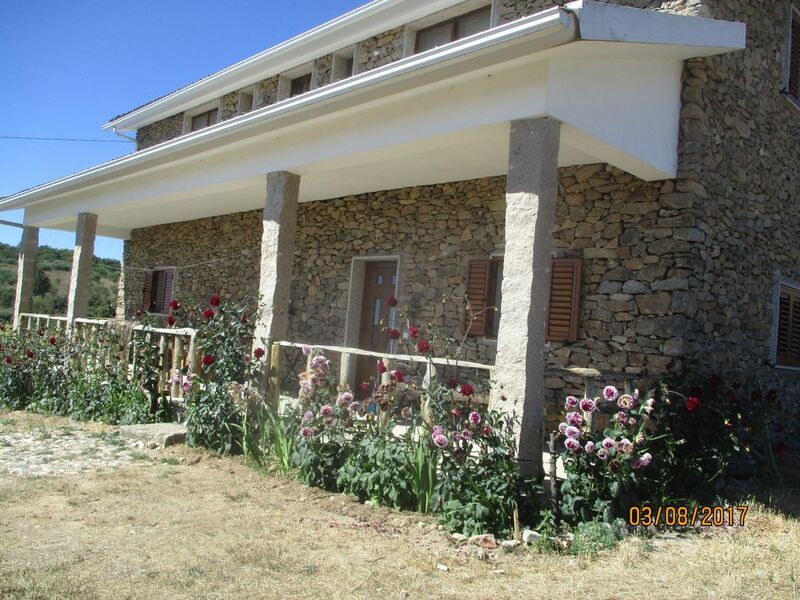 House with 2 floors covered with granite stone outside with balconies with superb views to the hills and cultivated fields. It has 2 bedrooms on the upper floor with private bathroom and on the lower floor has 1 bedroom with ensuite plus a living room, kitchen, bathroom and fireplace in common. The surrounding area is landscaped and areas of crops, various fruit trees, chestnut trees, oaks, pines, etc. It also has a swimming pool. Participate in local activities agricultural, grazing. Taste home made products, namely curd cheese and sheep's cheese. Pool already available without any change in price.